Many of us are reaching the “Golden Years” as the first wave of baby boomers are currently heading to retirement. If you are one of the 80 million in this group, it may be time to reassess your lifestyle and habits to make sure you are positioning yourself for optimum health and life fulfillment. Having a little trouble with day to day tasks? Allowing others to help you perform the duties you are no longer capable of is also a part of senior health and wellness. Why wait until you take a fall or are hurt in some other way before considering in home or companion care? Today’s health care services can be custom designed to fit your unique needs. While some picture in home private duty health care as a form of medical assistance for those who are bed ridden or recovering from an illness, that’s not always the case. Skilled in home care is also available for companionship, running errands, performing light household chores, cooking meals, laundry, and personal care. Organic fruits and vegetables and clean, lean meats may be a bit more expensive, but most seniors and aging adults are no longer preparing meals for a family of four or five. Take that extra savings and put it to good use with healthy food choices. Much of the aging process has to do with tissues wasting away, or atrophy. The old phrase “use it or lose it” may have seemed like a cliche, but it’s absolutely true with aging. If you begin to lead a sedentary lifestyle, you are sending a message to your cells and muscles that they aren’t needed. When you stop using them, muscles and bones begin to weaken, and the process of aging essentially speeds up. The best way to prevent this from occurring is by engaging in good, old fashioned, daily exercise. Living here in Sarasota or Southwest Florida, there are countless exercise opportunities. 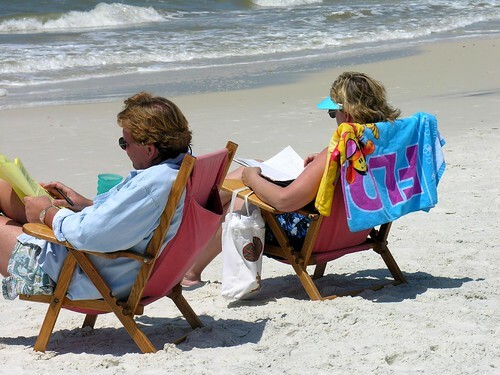 The weather is conducive to walks on the beach, or just through the neighborhood. Many condo dwellers have a pool or exercise room right on site. Just because you’re not interested in having six pack abs doesn’t mean you shouldn’t use the gym. A brisk walk on the treadmill or twenty minutes on an exercise bike will get your heart pumping, increase oxygen to the brain, and keep you feeling your best! Getting out and enjoying the Florida Lifestyle and connecting with the great outdoors can truly be a pleasure and it add life to your years as well. Stress is considered one of the leading causes of premature again. Do everything you possibly can to eliminate every type of stress in your life. Smoking, negative relationships, junk food, and excessive drinking all lead to premature signs of aging, both in your appearance and in your body. Exercise, meditation, sharing close friendships, enjoying hobbies, community involvement, and spending time outdoors in the beautiful Florida sunshine are all great stress relievers. According to health and wellness experts, 70% of your health is directly related to what you put in your body. As you age, your cells become more vulnerable. For this reason, protecting your immunity by fueling your body properly is key to health, vigor, and atrophy prevention. Choosing whole, fresh, and nutritionally-dense foods, lean protein, and drinking plenty of water are key. Along with consuming the right things, it’s just as important to cut out the foods that wreak havoc on your body. Now is the time to cut out fried, prepackaged, and processed foods that have zero nutritional value. Part of staying young involves thinking young, or thinking positively. Regardless of your age, it’s important to keep moving forward. Growing and learning will keep your thoughts sharp and help you to live life to the fullest. Take a free college course, volunteer, learn to paint, grow a garden (or even one tomato plant!). Or consider Birdwatching– Florida has over 470 different species of birds with the 3rd largest number of different species in the United States! Doing something productive every day is important to mental and emotional fulfillment. Remember, you’re only as old as you think you are! It will be our pleasure to set up an appointment for a Complimentary In Home Consultation! Give our office a call to discuss your personalized needs. Your life is a precious gift and it’s important to treat yourself well. You deserve to enjoy every day with your family and loved ones. Let’s Talk! Today’s home health care services are constantly evolving according to patient needs. What once was a type of skilled nursing care reserved mainly for the elderly, has grown and become more diverse. As of January 1st, 2011, over 10,ooo Baby Boomers per day reach the age of 65- and number approx. 77.6 million people in the US. Home health nurses, nursing aides and skilled care providers are now assisting Boomer patients with everyday needs that range from recovery and rehabilitation to light housework and even help around the home after childbirth. Caring, yet non-medical private care is becoming more readily available for our aging society in the form of companion sitters or to even accompany loved ones to medical appointments. Having a trusted, encouraging companion can lead to faster recovery times and reduce the amount of complications and injuries that patient’s are vulnerable to during recovery. However, many find it difficult to communicate effectively with their home health care provider. Proper communication is a key element to an individual’s ability to recover quickly. With that said, you may be wondering what the basics of proper communication with your home health care assistant are. Keep reading. It’s pretty simple and truly a two way street! Although the help you will receive from private duty care is essentially a service, there is a kindered, family type of relationship involved. The patient/nursing assistant relationship, like any other relationship, should be built on clear communication. Before hiring home healthcare services, be sure your expectations are known. Don’t assume anything is too trivial. Your case manager and assistant are ready and willing to help you recover. Asking questions, going over details, voicing concerns…it’s all part of the process. Establish Special Needs- Did your surgery possibly reduce your ability to communicate verbally or think clearly? Are the pain medications knocking you out for hours at a time? Before your private duty care assistant arrives, make sure he or she is aware of any special needs you have. You may need a translator, or you may need to communicate with pen and paper. If the pain medication is making you sleep through the home health care visit, consider writing down any questions, instructions, or thoughts you may have while you are awake. Your nurse can then leave you a note with her response. Family and Friends- Sometimes it is impossible to communicate effectively with your home health care aide without a family member or friend present. Why? Well, if you are on heavy medication, you may not fully remember the nurse’s response or whether you even asked the question at all. A friend or family member can take notes and make sure your question is asked even if you are sleeping when the home health care provider arrives. This will offer you peace of mind as you recover. Be Honest- It is extremely important to be honest with your private duty care nurse, even if the topic is sensitive. Don’t leave anything out just because it might make you blush! You’ll find that proper communication will reduce frustration, stress, and irritability, and will actually help you recover more quickly. Your home health care assistant is there to help, whether it involves changing your sheets or helping you with bathroom duties, all of these simple tasks offer you comfort and that is what Help at Home Homecare is about, and what we do best! Check out our FAQ page for Answers to our most commonly asked Questions! Help at Home Homecare- Delivering Exceptional Private Home Care to You and Your Loved One’s in the Comfort of Home! I love Seniors. Truly I do. There is nothing like experiencing life through their eyes. They’ve lived long enough to be at a place in their journey, where they can just sit back and enjoy the ride! Many adults today have been truly blessed to have had grandparents play an active role in their lives when they were children. A grandparent has the time to invest and offers the patience and unconditional love that truly matters and shapes the lives of their grandchildren. Watching your grandparents or other loved one’s in your life age, tugs at your heartstrings. If you don’t live near these senior loved one’s in your life, private in home health care is something that you should consider to assist them in their daily duties. Help at Home Homecare offers many levels of skilled care, even for well patients. These forms of in home health care can give you the peace of mind by knowing that the needs of your loved one are being met, even though there may be miles between you. If you’re researching this type of at home private health care for your family member, be sure to seek out a trusted, bonded, insured and experienced provider that is even part of the Caregiver Quality Assurance Network, like Help at Home Homecare of Florida is. A credible private duty Skilled Home Health Care provider should offer a Free Consultation to assess the needs within the home to match the level of care that should be provided. A Case Manager will then recommend a customized plan that will lend the helping hand for your loved one. Based on the need, the provider will determine if your loved one is in need of a Certified Nursing Assistant, Registered Nurse or perhaps a Home Health Aide. 1. Are they living up to their Mission Statement? 2. Can they provide not only Exceptional Care, but the Service and Support system that you need? 3. Does it seem that the staff genuinely enjoys working there? 4. Do You get ‘Warm Fuzzies’- Is your first impression during the Consultation a Positive one? 5. Are they openly willing to share Client References with you? When we spend time with Senior adults that are in their “Twilight Years”, it allows us a unique opportunity to learn from their wisdom and laugh at their jokes. Sitting down with a senior can be very enlightening. I highly suggest that you take the time out of your busy, hectic and duty-filled life to have a real down to earth conversation with a Senior Adult today. We guarantee you’ll walk away with a chuckle on your lips and feel light in your step. Times are changing, and the face of home health care is changing right along with it. 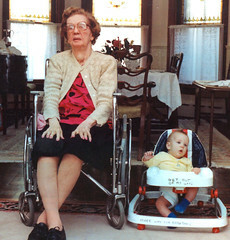 A decade ago, when you thought of in-home nursing care, it was generally reserved for an aging parent or grandparent. Although skilled nursing care is still often needed to provide senior care, private nursing assistance is now available for a wide range of medical or rehabilitative situations. Is Home Health Care the right fit for you? Here are some helpful tips to help You decide whether ‘in home’ skilled nursing care can benefit you or your loved one. Who Can Benefit From Skilled Nursing Care? After Surgery Recovery Period – Are you about to undergo surgery? Today’s hospital stays have been cut to the minimum and many patients are spending the majority of their recovery period at home. While there are some definite benefits, especially psychologically, for a patient to return to familiar surroundings as quickly as possible, they may require assistance performing everyday tasks. This is where skilled nursing care comes into play. Making the decision to hire a home health aide during recovery can reduce stress, provide peace of mind, and actually speed recovery time since a home health aide can perform duties that may aggravate or put unnecessary strain on the patient. Note: Elective surgery (such as cosmetic surgery) is also taxing on your body. Home health care is perfect for the days following any surgical procedure. Homemaker / Companion Services – Maybe your situation isn’t medically related. You may simply need assistance with household chores such as housekeeping, meal planning and preparation, and shopping. If you or a loved one wants to remain independent but needs that extra helping hand, or a companion for errands and doctor visits, a compassionate and helpful home health care professional can be the ideal solution. Rehabilitative Assistance – Whether you’ve experienced an unfortunate accident or are recovering from an illness or medical procedure, your body has the amazing ability to heal and rehabilitate when provided the right combination of rest, exercise, and nutrition. In order to put you on the fast track to the quality of life you deserve, rehabilitative assistance may be just what you need. Our experienced staff includes a full team of physical, speech and occupational therapists who are fully equipped to help get you back to the best version of yourself. Whatever your particular situation may be, when you find yourself in need of assistance, the caring and dedicated staff at Help at Home Homecare are ready to partner with you and meet your needs. With a strong commitment to excellence, our patient’s satisfaction, comfort, and peace of mind is our first priority. If you reside in the Sarasota, Bradenton, or the Venice areas of Southwest Florida, give our offices a call. We offer skilled private home health care to Sarasota, Charlotte and Manatee Counties.